In their pursuit of “scientific research,” Japan has killed 120 pregnant whales in Antarctic waters. This is a practice that they are committed to because they claim they are acquiring important information from these whales. According to reports released by the International Whaling Committee (IWC), Japan has killed a total of 333 whales so far in the 2017/2018 austral season as part of their annual practice of hunting whales for science. 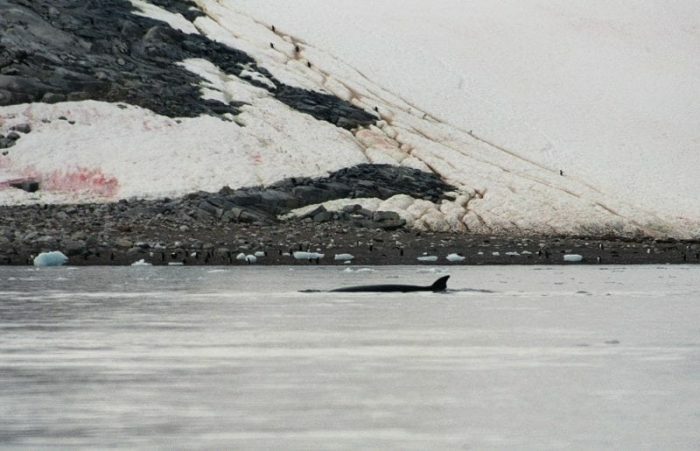 According to the report, there were 392 sightings of Antarctic minke whale and of those 333 were killed for “biological sampling.” Among those that were killed, 152 were males and 181 were females (with 120 of those being pregnant). For their “research”, a number of biological samples were extracted from the killed whales that included stomach contents and earwax plugs. According to Japan, these samples are needed to acquire information on the age, sexual maturity, health, and other biologically important factors that we do not have about the minke whales. For instance, extracting the stomach contents can be used to determine prey composition and consumption by the whales. Examining the earwax plugs can be used to get the age of the whales. After the whales have been used for the scientific portion of the hunting, they are then sold in markets and restaurants. According to Alexia Wellbelove, senior program manager at the Humane Society International, there is no reason for any whaling operations to continue for these “scientific research” because there are numerous non-lethal surveys available to acquire the same information. Alternatives include taking genetic samples from the whales without killing them, placing trackers on them to remotely monitor their activities and movements, and sighting surveys. 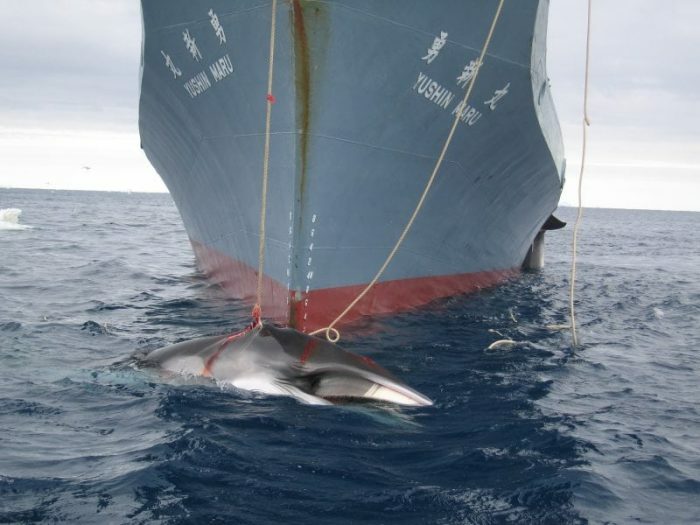 Japan is not the only country that engages in these whale hunts. Norway and Iceland also engage in what hunts. Japan and other countries use “scientific research” as a way to skirt around the international regulations that were introduced in 1946 to limit whaling. The Antarctic minke whale is a closely related species to the common minke whale, which is the target of many whale hunters around the world including Norway and Iceland. Unlike some other whales, it is not listed on the IUCN Red List because there is not enough information known about this species to determine if it is threatened in any way. These whales were first identified in the 19th century and were classified as their own species in the 1990s. It is estimated that their population is fairly larger compared to similar whale species because they were mostly ignored by the whaling industry. They were considered too small and would not produce enough oil to warrant efforts to capture them. While it was once ignored by the industry, it has become one of the main focus alongside the common minke. As its name suggests, the Antarctic minke whale can be found throughout the southern hemisphere. It has been seen in the Antarctic as well as places like Brazil and Uruguay. An Antarctic minke whale swimming around the Neko Harbour in Antarctica. In terms of sexual maturity, female Antarctic minke whales become sexually mature at around 7 to 9 years of age while males reach sexual maturity around 5 to 8 years. Physical maturity is reached at 18 years of age for both sexes. They feed on krill, which is the food of choice for about 90% of species in the southern hemisphere. Similarly to their cousins, the common minke, these Antarctic minke whales are among the smallest baleen whales, which was a problem for early whale hunters. Because the Antarctic minke whale was not the focus of the early whale hunting industry, they were able to avoid population crashes due to overhunting. The Scientific Committee of the International Whaling Commission created a baseline population estimate of around 515,000 in 2012. They noted that this estimate is a rough estimate and may be missing whales that were not part of the region they surveyed to get this estimate. The IUCN cannot make any determination on the species because there is not enough data on the population of these species. This is a problem that will need to be addressed given the fact that these whales are not being targeted by many countries and are no longer ignored. Japan continues to claim that its “biological sampling” efforts are important for understanding the whales they target. Many agencies and watchdogs have long claimed that these sampling efforts are a front for acquiring whale meat for commercial purposes. 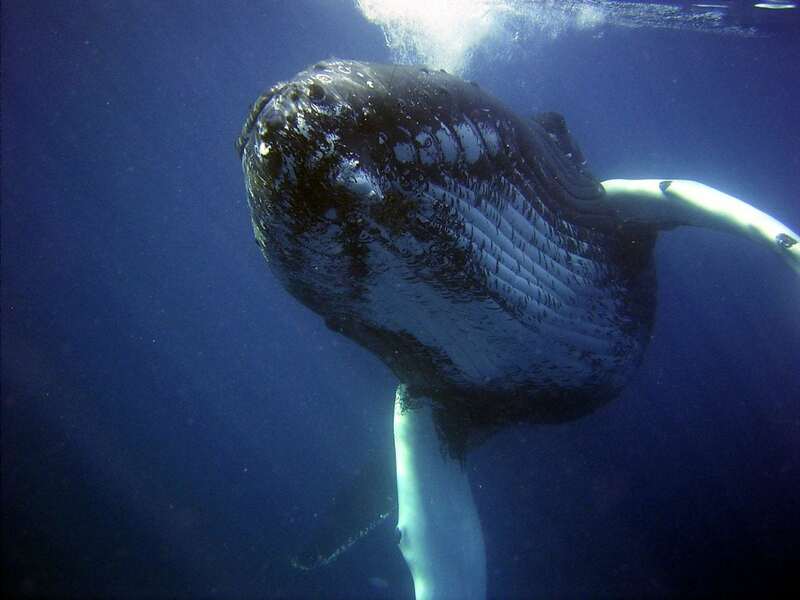 In 2014, the United Nations’ International Court of Justice ruled that there was not enough justification to consider the sampling program a scientific effort and would be considered a commercial whaling. The suit was brought forth by Australia, with the support of New Zealand, because of continued evidence they gathered of Japan hunting whales indiscriminately and without regards for any scientific purpose. The court found that Japan could not justify their large sample size because there was no reason that any scientific research would require such a large sample of whales (850 minke whales). Japan agreed that they would abide by the orders to halt their “sampling” efforts. Despite the ruling, there is not much to be done via enforcement because options are limited. The most that can be done are economic sanctions against Japan through other countries. Given recent events, it is clear that Japan plans on continuing its “biological sampling” and plans on doing more in the future. The Sunday Morning Herald reports that Japan plans on resuming its commercial whaling to kill about 4,000 whales over 12 years. It remains to be seen how other countries will react to these new efforts, which run contrary to the rulings of the international court. As more information are discovered about the Antarctic minke whales, it becomes increasingly important to ensure that their populations do not share the same plight as the whales hunted throughout the ages.